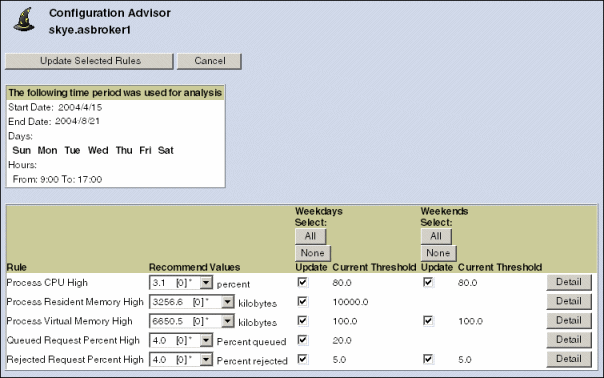 The following figure shows the data calculation page that appears after the Configuration Advisor has applied the criteria you submitted to calculate the threshold settings. The Configuration Advisor page has multiple purposes. The following table identifies the key tasks you can perform from this page and the associated procedures.